A fun, albeit surprising/unnerving, fact: The use of cellphone tracking by authorities is more common than wiretaps and the use of GPS tracking. This according to a WSJ survey of local, state and federal authorities. The widening practice presents one of the biggest privacy questions in a generation: Do police need a search warrant to follow a person’s minute-by-minute movements using satellite or cellphone technology? Let’s take a look at the numbers. The WSJ identified more than 1,000 instances of cellphone tracking in several large U.S. cities last year through open-records requests and court documents. Magistrate Stephen Smith of Houston, Texas, who approves such surveillance orders, told the Journal he estimates that federal courts alone issue 20,000 to 30,000 cellphone tracking orders annually. By comparison, federal and state courts approved 3,194 wiretaps in 2010, according to federal records. In a GPS case heard yesterday by the Supreme Court, government lawyers argued the the use of GPS beepers was in the “low thousands” each year. WSJ’s Julia Angwin and Scott Thurm report that the federal magistrates, led by Smith’s example, are starting to revolt. More than a dozen magistrates have written opinions denying applications for court orders to track cellphones. The federal government says authorities can use electronic surveillance to track vehicles on public roads without a warrant, citing a 1983 Supreme Court ruling that declared there is no reasonable expectation of privacy there. The government argues that most cellphone tracking doesn’t require a showing of probable cause and is instead governed by a 1986 law that requires only that police provide a judge with facts “showing that there are reasonable grounds to believe” the material sought is relevant to a criminal investigation. Smith denied a government request in 2005 in an opinion that called the government’s legal theory “undeniably creative.” But “mixing and matching of statutory provisions,” he said, would create a “new form of electronic surveillance” not envisioned by the law. Within six months, nine other magistrates also denied tracking requests, relying in part on Magistrate Smith’s reasoning. The rebellion prompted changes in some places, including the U.S. Attorneys in Los Angeles, which agreed to obtain search warrants for cellphone location information in federal cases, according to the WSJ. 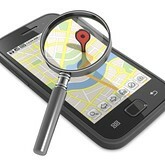 In 2007, the Justice Department recommended that prosecutors obtain search warrants when tracking phones using such “precise” technology as GPS or multiple cellphone towers, according to documents obtained by the ACLU, but the legal battle shifted the next year to records of cellphone locations. A group of magistrates in Pennsylvania, in 2008, denied a government application for historical records of cellphone locations, saying that cellphones were being used by authorities as personal tracking devices. The government appealed, arguing that cellphones were not tracking devices because the location information was only accurate within several hundred feet. In the end, the appeals court didn’t fully resolve the issue and the government didn’t get the cellphone records it sought.